Oops! Did it again, in my rush to get cutting I forgot my before photo but it did look just like this. 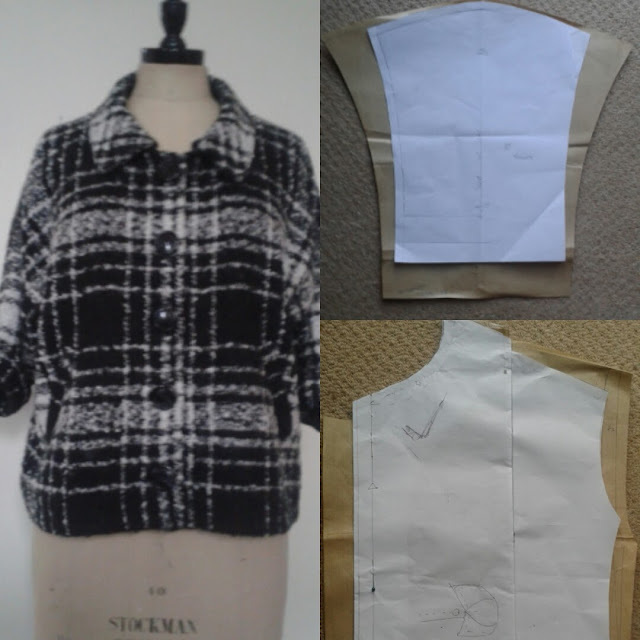 This refashion is based on an old pattern and my blog includes a tutorial on how to make a simple pattern narrower. I had to make my pattern narrower to fit into the restricted scarf width, the checks had to match so this also determined the length. 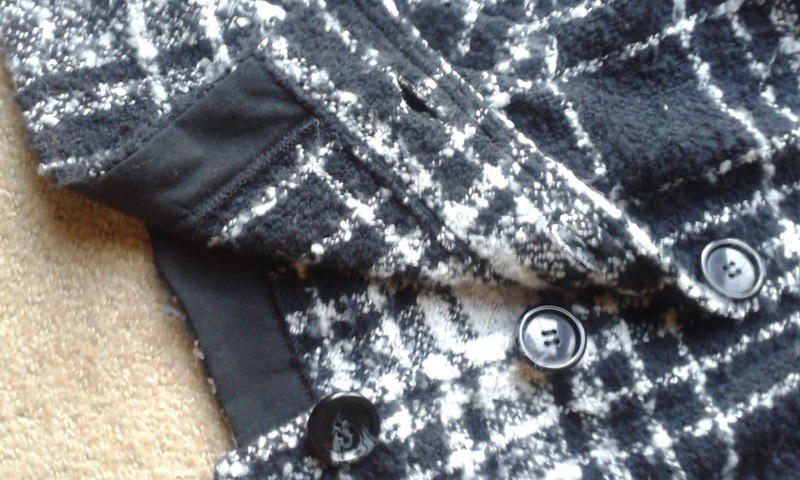 With the leftover pieces I managed to fit in the collar and welt pockets. My compromise was having to have a false hem. For all the details visit my blog! VERY nice! 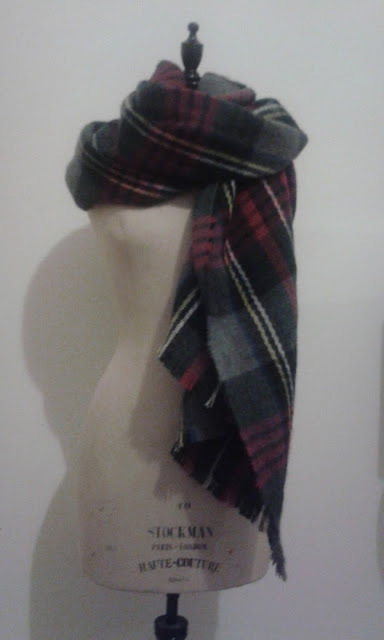 I never would've guessed it used to be a scarf. I especially love that you were able to match up the plaid pattern. Thanks. I don't wear stripes or checks unless they at least match on the horizontal...just can't help myself looking at this in store bought clothes too! !